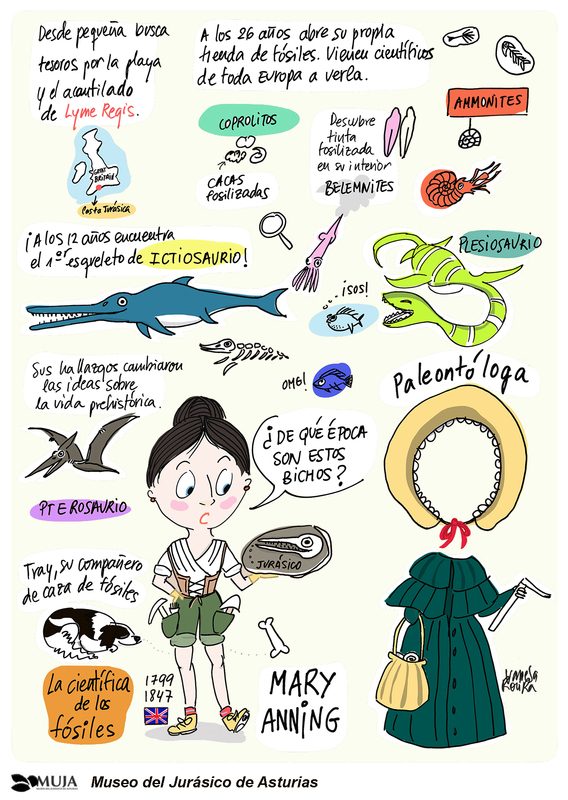 The story of Mary Anning (1799-1847) written and illustrated like the paper dolls. Commissioned by MUJA, the Jurassic Museum of Asturias. She was an english fossil collector, dealer and paleontologist who became famous for the significant finds she made about Jurassic fossils.